Peanut Chip, Chocolate & Orange Blossom, Hazelnut & Rose and Strawberry & Yuzu. 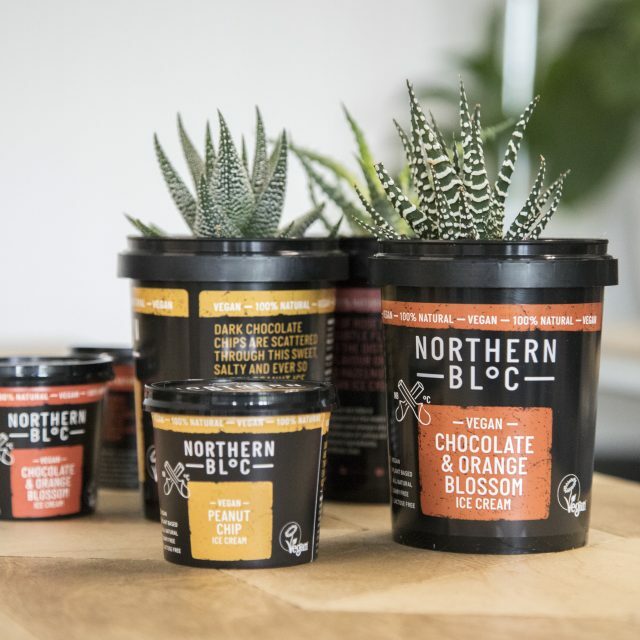 They’re anything but your typical ice cream flavours and they’re unheard of when it comes to dairy-free products – but we don’t really do ordinary. So when it came to devising our new Vegan Range we decided to create something that really stood out from the crowd. That meant ignoring the usual suspects and tracking down weird and wonderful combinations that would make ice-cream aficionados everywhere sit up and take notice. “With all our flavours it’s about finding exciting good marriages in flavour, something exciting and something different. It’s easy to come out with just those core flavours (vanilla, chocolate, strawberry), which we have avoided.” – Josh, Co-Founder. The challenge – as always – was to do it with 100% natural ingredients. We started with a few of our favourite flavours – the light, floral sweetness of Rose, a burst of Orange Blossom and the citrusy zing of Yuzu. Then, created one-off combos that ticked every Northern Bloc box. Needless to say, there had to be a nutty one, and lo and behold, Peanut Chip was born. 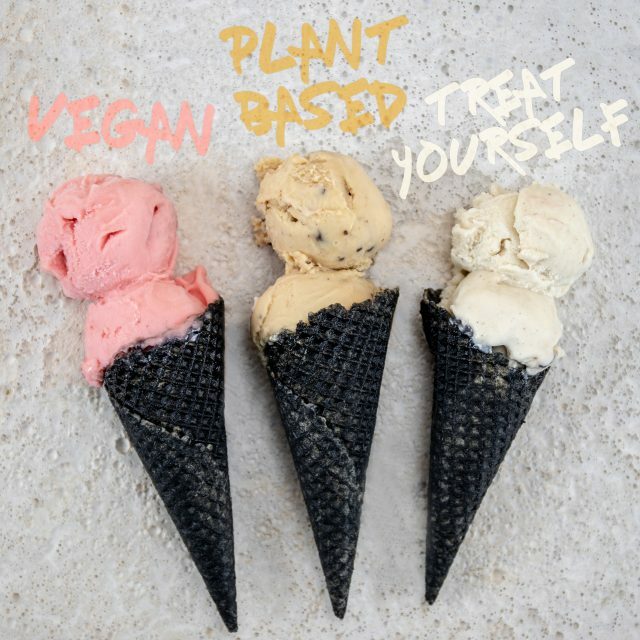 We wanted to make an ice cream that tastes just as great as dairy, but happens to be plant-based. We wanted to give those living a dairy-free life more flavour choices than the regular chocolate, strawberry and vanilla. While we know vegan is headline news at the moment, we’re not really ones to jump on trends for trends sake. Our new range has been two years in the making, and we’ve tried and tasted every detail to make sure it hits the spot. To keep up to speed with our Vegan range, and find your nearest vegan stockists, just give us a follow below.